“Match, taken from the word matchstick in English, is a highly elegant extending table, which is distinguished by an interesting balance between the table top and the frame. The bevelled top merges in the corners with the legs, which are slightly tapered downwards and shaped in their cross-section. The table top is in extra light glass painted white or acid-treated white, in acid-treated black glass or in white or anthracite grey laminated Doluflex®. 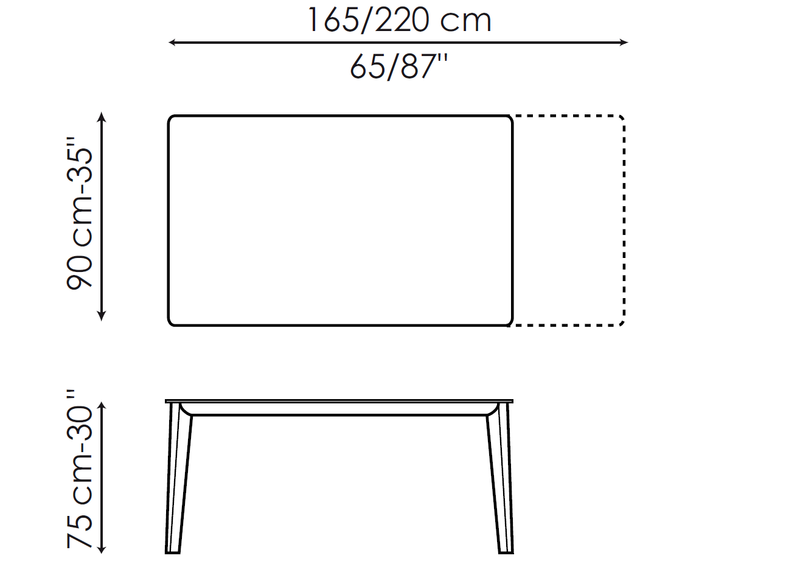 It has a profile lacquered in matt anthracite grey or white to match the colour of the table top. 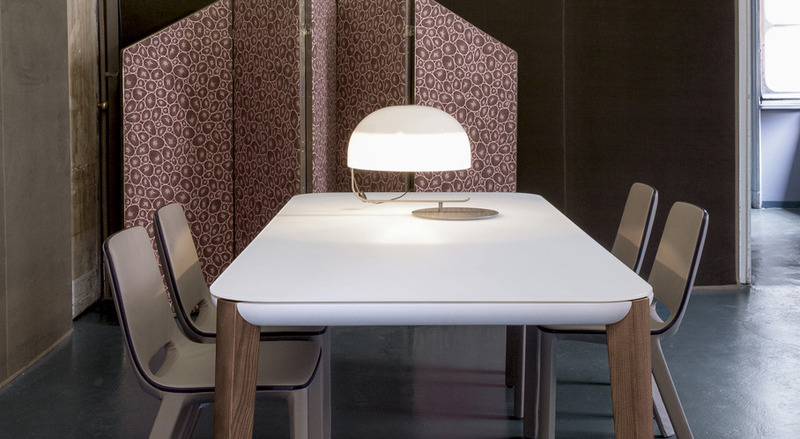 The extension, which is either made of wood or Doluflex® depending on the table top selected, is lacquered white or anthracite grey. The legs are made of solid ash-wood in polished white, walnut-wood colour or polished grey.